Enterprise Equity | Are Drones a fad or here for Good? Philip McNamara is the managing director for outsourcing firm Voxpro, a venture partner with Enterprise Equity and creator of the Drones and data X Conference in Santa Cruz. 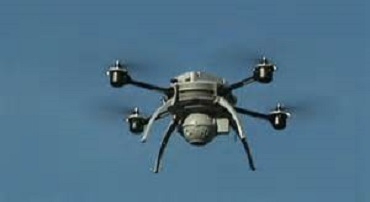 Drones are no longer just seen as a tool of the military or a toy that people use to fly around. They’re　becoming accepted as a tool that businesses can deploy, and every day more and more companies are being created to build drone prototypes and software to help them fly, detect obstacles and make sense of terabytes of data they collect. This is the golden age of drones, and it is just taking off. Whether we like it or not, we are going to be seeing more drones in the sky and on the news, and they will get cheaper, faster and more reliable. Here, I want to go into some reasons why I think drones are not　just a fad but are here to stay. Construction companies are not always first movers when it comes to new technology, butwhen it comes to　drones, they have really taken a liking to them. Companies like Bouygues, Balfour Beatty and Webcor are using drones to map construction sites. They are employing drones made by Skycatch, which recently made a deal with Japan’s Komatsu to enable driverless bulldozers to take instructions from unmanned　drones. Companies like Precision Hawk are developing software and hardware that automatically measures the height of crops and detect weeds, and they can even count plants. These kinds of drones are using fixed wings, which mean they can stay in the air for much longer, and capture a lot more data than a DJI-like quadcopter. Jay Bregman, the former CEO of Hailo, is developing verified database of drones, that will allow people to know where you can and cannot fly a drone. For places with no roads to speak of, companies like MatterNet are creating drones that will deliver medicine. Then there are drone that will deliver life vests to drowning victims, or when a life guard can’t get to a person on time. The average human takes 90 seconds to reach and save a drowning victim who is 75 meters from the beach. It takes a drone 22 seconds.